It’s summer and the European Perl community’s thoughts are all about the upcoming YAPC::Europe conference. In about three weeks time we’ll all be jumping onto planes to Riga for three days of great Perl talks. The conference runs from 15th – 17th August. Here are some of the highlights that I’m looking forward to. Larry Wall is the man who created Perl and he is currently driving the project to design and implement Perl 6. His “State of the Onion” keynotes are always interesting and I’m sure that this year’s will be no exception. He’s speaking at the start of the first day. The same slot on the second day goes to Damian Conway. His talks are just as interesting as Larry’s but often more than a little scarier as he bends Perl to his will in ways that it really wasn’t designed to bend. In this one he’ll be redeveloping some of his CPAN modules in Perl 6. At the other end of the conference., the closing talk is Matt Trout’s “State of the Velociraptor” talk. This is becoming a Perl conference tradition where Matt sums up what has happened during the last year in Perl. Immediately before Larry’s keynote comes the biggest announcement of the conference, which is the announcement of next year’s venue. This year’s applications came from Sofia and Frankfurt, so next summer we’ll either be in Bulgaria or Germany. The organisers have had enough high quality proposals that they have been able to fill four tracks for three days – and there’s an extra fifth track on the first day. Inevitably this leads to clashes where two interesting talks at the same time. For example, I’m currently trying to work out whether to see Zefram explaining “Why Time is Difficult” or Gabor Szabo talking about “Writing Plugins for Padre”. The worst kind of clash is one where you have no choice at all as you’re giving one of the talks. I’d probably go and see Job van Achterberg’s “Introduction to Dancer” on Wednesday morning if I wasn’t giving my own talk on “Perl Training” at the same time. There are many talks that I’m looking forward to seeing. Here are just a few of them. Mallory van Achterberg’s talk on HTML5 probably won’t mention Perl, but it’s a subject I want to know more about. Anton Berezin is talking about “Replacing a Relational DB with Redis” and that’s another area that I want to investigate further. I use Git a lot, so Philippe Bruhat’s talk on “Controlling Git from Perl” sounds interesting as does his follow-up on the next day “Managing CPAN Installations with Git”. I’ve done a bit of work with Plack but it’s always good to get other people’s perspectives so I want to see Leo Lapworth’s “Plack Basics” – but that would mean missing Tara Andrews’ talk on the “Analysis of Medieval Manuscript Traditions with Perl”. Jesse Vincent’s “Perl 5.16 and Beyond” will be essential for anyone interested in the future Perl 5 development and Ingy döt Net’s talk on “ActiveState, Perl and the Cloud” is very timely given the current interest in hosting Perl applications in the cloud. There are also a few less technical talks that I’ll be attending. On Tuesday, Karen Pauley will be giving an overview of what The Perl Foundation has done in the last year and what its future plans are. And Mark Keating has two interesting-sounding talks “Adventures in Marketing” and “I <3 My Community”. This year there will be three sessions of Lightning Talks, one each day. These give new speakers a “no pressure” way to ease their way into speaking at a conference. You’ll also find more experienced speakers taking the opportunity to let their hair down a little. On top of all this there are training courses run on the days both before and after the conference (at extra cost) and a number of evening events largely based around eating and drinking. 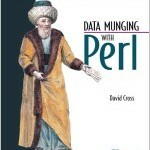 It’s a great way to keep yourself up to date with what it going on in the world of Perl. I hope to see you in Riga. Dave Cross is the owner of Magnum Solutions Ltd, an Open Source consultancy company based in London. In 1998 he started london.pm which has grown to be one of the largest Perl Mongers groups in the world. He nominally led the group until September 2001. Between August 2002 and June 2006 he was the Perl Mongers User Groups Co-ordinator for the Perl Foundation. Dave is a regular speaker at Perl and Open Source conferences and is often invited to present tutorials alongside the main conference. He is the author of “Data Munging with Perl” (Manning, 2001) and a co-author of “Perl Template Toolkit” (O’Reilly, 2003). You can follow him on Twitter at @davorg.